Note: Written before the release of the 6th Edition Codex Dark Angels, so due an update. Whatever you may think of the Allies Matrix, love it or hate it it's now part of the 40K scenery. I prefer to embrace the possibilities of strengthening the Dark Angels through choosing allies to fill the missing gaps in what we have already. The Grey Knights have been favourites of mine for years. I have a load of old metal GK Terminator and GK power armour models sitting around not doing much. So now's the time to look at them afresh as allies in 6th Edition. With Grey Knights there is a problem straight away. They are classified as "Allies of Convenience". Yes we can fight alongside them, but all the advantageous stuff they bring to the table cannot be shared across the Codexes. By this I mean character/unit special rules and psychic powers as each force strictly operates in their own self-contained rules bubble. It also means an allied IC cannot attach to a Deathwing squad and vice versa. This isn't a disaster, it merely reflects the enmity and distrust between these two great Chapters so I'll put up with it on the basis of 'fluff adherence'. I could have made life easier by just picking allies from the Codex SM. The challenge was to add allies to an existing DW heavy 1500 point list. I'd already decided to go with a second HQ in the form of a terminator-armoured Librarian in this core list just to get my hands on Divination's Primaris power Prescience. A little help in the firepower stakes is a great force-multiplier in a small shooty force effectively twin-linking the to-hit rolls from one unit. Apart from the Librarian's inclusion it's a pretty standard foot slogging Deathwing list with 22 infantry models and 2 vehicle models. So I had it in mind to replace the Librarian and one of the non-Apothecary squads with my allied contingent. This would give me around 385-395 points to play with, which isn't a huge amount so I couldn't go too wild. The Allies had to deliver good mid-range shooting capability, plus be able to hold their own and more, in close combat. Any anti-psyker trickery would be useful but not a deal breaker. Oh and given the style of the existing Deathwing infantry, I reasoned that being able to deep strike as well would be a plus but again not necessarily deal breaker. After looking at the GK Codex and seeing the effectiveness of certain units in game, I had three allied packages in mind and these are all detailed later. Instead let's go to the finished product and talk through the whys and wherefores of it. It'll also serve as a useful GK primer/refresher. More explanation after the list. Spot the new boys in town! As we will see later in this article, there were also two other possibles for the HQ slot. But I went with the OM Inquisitor because of his relatively inexpensive cost for a three-wound model and his extensive upgrade possibilities. It's true that he isn't a Grey Knight so misses out on their basic special rules and wargear bonuses but he still has a few of his own. Terminator armour was a must as he had to have the same Deep Strike capability as the rest of his contingent. It also meant he would have the same strengths as the rest of the infantry. He will be attached to the Grey Knight terminator squad so in theme terms it was the only option. Psycannon is only available for the Inquisitor with the termy armour upgrade. Not much to dislike about this weapon (although it no longer ignores invulnerable saves as it used to). A bargain upgrade giving him 4 heavy rending S7 AP2 shots a turn on the move. This really is where the Grey Knights shine — mid-range firepower and this guy is going to do his bit. Rending gives it the ability to take out heavy armour which is useful in an emergency. Psyker this gives him only Mastery Level 1 (like the standard DA Libby) and in truth this is slightly disappointing. However a full blown GK Libby is much more expensive and doesn't get access to the psycannon. He will use the excellent Divination primaris power Prescience, but as he is an Ally of Convenience he can only it use to boost the Grey Knights' abilities. Force sword as part of the Psyker upgrade he can change one weapon for this, so his daemon hammer is going. The hammer is good but I'd prefer to be striking at initiative (I4) with this character. Note that this is not a Nemesis force sword and at Mastery Level 1 he can't use Prescience and activate his force sword during the same game turn. Stubborn Inquisitors get this as standard. Stubborn will be conferred upon the unit he attaches to. This will be a great fit with the Deathwing as all units except the tanks will be either Stubborn or Fearless. Yep GKTs are a Troops choice now. As the OM Inquisitor is so cheap this has freed up a few additional points to allow an extra body in this squad. This great as it means a few extra shots that benefit from the Inquisitor's Prescicence psychic power. With the Inquisitor attached it's a unit of seven, all with 2+/5++ saves. A tough nut to crack but susceptible to the usual array of AP1/2 weapons and AP1/2 cc weaponry that will inevitably point their way. Remember that unlike Deathwing Terminators they're armed with grenades too so assaulting into cover doesn't present them with the usual problems. This is sometimes easy to forget in the heat of the moment. Lets have a quick run through other items in the GKTs wargear. Aegis armour boosts their resilience to incoming psychic attacks by reducing the attacking psyker's Leadership value for the Psychic test. Note that the Inquisitor's armour is not Aegis armour, but, if he part of the targeted unit (by being attached) he will be protected too. Brotherhood of Psykers the whole unit is counted as being a Mastery Level 1 psyker. They use the Hammerhand psychic power. Psyk-out grenades great for assaulting units that contains daemons or psykers as they are reduced to striking at Initiative 1 for that phase. A nice freebie but not a game-changer. Frag and Krak grenades as per main Rulebook. Nemesis swords are the main close combat weapon for this unit and come on all models as standard. These are force weapons, (AP3 with users Strength) and operate as per force weapons in the main Rulebook with the addition that these grant the wielder +1 to their Invulnerable save during close combat. Not a bad weapon at all so sticking with it for the majority of the squad. As the Deathwing pretty much all have power fists or thunder hammers, these sword striking at initiative would be something a bit different to deal with. Nemesis halberds are a free weapon swap option. Again a force weapon but this has a different benefit to the sword. The halberd increases the wielders Initiative by +2 during close combat meaning these bad boys strike at I6 to make the most of their two attacks. I'll use one on the Justicar and on one other model, that'll be six I6 attacks for them on the charge. Psycannon was pretty much covered with the Inquisitor analysis above. Psybolt ammo is available as an option and this is well worth taking as it increases the Strength of units weapons by 1. It only applies to certain weapons — unfortunately the psycannon is not one of them. Never mind, it means the basic storm bolter becomes S5 and can glance to death AV11 vehicles, especially useful too if deep striking and hitting rear armour. At 20 points per unit this is a little extravagant for the five models with storm bolters, but still well worth it I think. Hammerhand is the squad psychic power: +1 Strength for close combat? Yes please. It does mean that the squad's Nemesis force weapons can't be activated as well, but against single wound models with a 3+ save they'll ignore that anyway so this isn't a big deal. Hammerhand stacks and is conferred both to and from attached characters. So if I chose that the Inquisitor had Hammerhand as his psychic power and the GKTs get it anyway, if both are successful in their psychic tests, that would be S6 for the the GKTs and S5 for the Inquisitor as each Hammerhand adds +1 to their own each others respective Strengths. Not too shabby. Also, the way Hammerhand works, the attached Inquisitor could cast it with whole attached squad benefiting, the GKTs could then opt to activate their Nemesis force weapons too. That isn't too shabby either as you get the benefit of all possible bonuses. OK I think I've covered most bases in my allied contingent. Now I'm going to look at other Allied packages that I looked at and at this point, rejected. Grey Knight Librarian is probably the best generic GK HQ in the Codex. He has a decent psychic power spread and is level 2 to boot. Nothing wrong with the choices here at all, in fact this was originally my preferred option. But, for all benefits the Librarian brings, he is expensive resulting in one less GK Terminator, nor does he get that precious psycannon upgrade option. It was tough choice but the Inquisitor won. But, if I was looking at a larger points Allied contingent, the Librarian would be in no question. Crowe has some useful psychic powers but he is only Mastery 1. But his biggest drawback is that he isn't an Independent Character. He is vulnerable to Str8+ AP1/2 weapons and he's not immune to Instant Death. So what to do with him? Run him around slashing at things with his rending sword? In fact he isn't the best HQ choice at all he's a tax for taking the excellent Purifiers that he unlocks as a Troop choice. The Purifiers bring more bodies/weapons to the table with the heavy firepower of the psycannons which is very useful, and providing excellent counter-charge with two base attacks. Being Fearless dovetails well into a Fearless Deathwing list. If I could find the points for an extra model that'd open the way for three more psycannons!! All-in-all they tick many of the boxes required of my allies. But as they can't Deep Strike they'd need to footslog into a decent mid-table position (meaning some wasted psycannon capability). I could live with that. Ultimately it's Crowe that is really putting me off here, so pass. Inquisitor Coteaz is pretty much the best 40K HQ going. Great psychic capability and decent close combat too there isn't much to dislike for 100 points. Interesting special rules. I've Been Expecting You: if any enemy unit arrives from reserves within 12" of him or his unit, that unit can immediately make a shooting attack upon that unit. Not only that, the unit can shoot at as many enemy units that qualify. This is great if he attached to a shooty unit. Spy Network: Coteaz may re-roll the dice to Seize the Initiative or may force an opponent to re-roll theirs. Both hilarious fun. But his main reason for being is unlocking Henchmen warbands as Troops. The Henchmen warband is the real meat — geared for heavy fire support. Maxed out plasma cannon Servitors, maxed Accolyte plasma guns, two Jokaeros, a Psyker and some Accolytes with storm bolters. The two Jokaeros are worth looking at separately. These things are awesome as they confer a range of boosts (chosen by dice roll when they deploy) across the warband ranging from improving saves, making all shooting weapons Rending, increasing weapons' ranges, for example. Jokaeros can also choose to fire their digital weapons as either a lascannon, multi-melta or heavy flamer. Oh and they get an Inv Save too. Of course the warband is fragile and massed bolter fire will whittle them away fairly easily so deploy in cover (not always ideal). That's kinda what the Razorback is for as well as lending a bit of S6 (Psybolt ammo remember) twin-linked heavy bolter support. 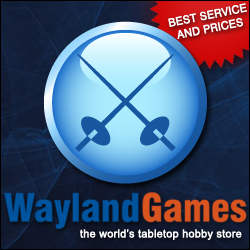 The Coteaz plus warband(s) build is a very popular one. Warbands can be very flexible in capability: in this shooty set up here it obviously lacks close combat punch but it can be set up for close combat by spamming Death Cult Assassins. As part of a larger resilient close combat capable force they are fine in a totally fire support role. By the way, there are numerous ways to maximise firepower even more. One could for instance take two units: one of three plasma cannon Servitors, a Jokaero and two Acolytes with a HB Psybolt Razorback at 153 points; the other of three plasma gun Acolytes, two meat shield Acolytes and a Jokaero plus a HB Psybolt Razorback for 135 points (totalling 288 points)… it depends entirely how far you want to take this. The biggest reason for me keeping not to pick them as an allies here is that they are not Grey Knights. If you're not fussed about that, go for it as it's possibly the best choice. I hope this primer is useful to help you determine who or what to ally with. Remember, the Grey Knights offer some of the best Space Marine units in the game, provided you have a definite roll for them to fulfill, there isn't really a bad choice in their Codex. And we didn't even get to look at GK Stormravens as an allied air force! No doubt some might see glaring faults in here, or reasons why my mix of units wouldn't work for you. I might start adding more allied units — 'Cron Air as allies next I think. Let's see where this might go.